This weekend on February 11, we will be switching back to the Old Zombie map for a month! Many of you missed the old map, so we've decided to finally bring it back for a bit. We've are changing the way we spawn mobs, so you should expect to see a lot more zombies! We'll also be splitting up the world to incorporate more of the higher tiered bosses as you can see below. 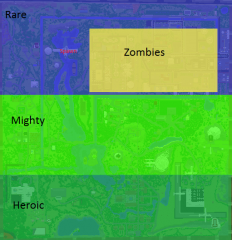 Zombies will of course spawn all over the map, but there will be loads of extra zombies in the city which is the yellow zone on the map. 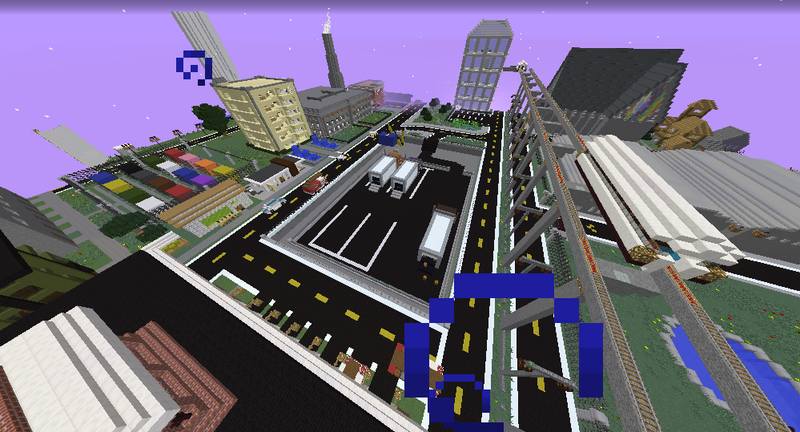 I remember seeing this map when I first joined the server. It will be great playing on the map again that I haven't seen in years. → MuttsWorld: Changing The Map!